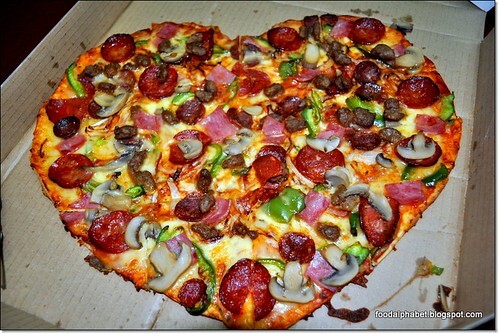 The Food Alphabet and More: A Valentine's treat from Angel's Pizza! Yes! Heart-shaped Pizzas just for you and your special someone this Valentine's!! Tired of the traffic? Expensive restaurants? Long lines? Don't Fret! 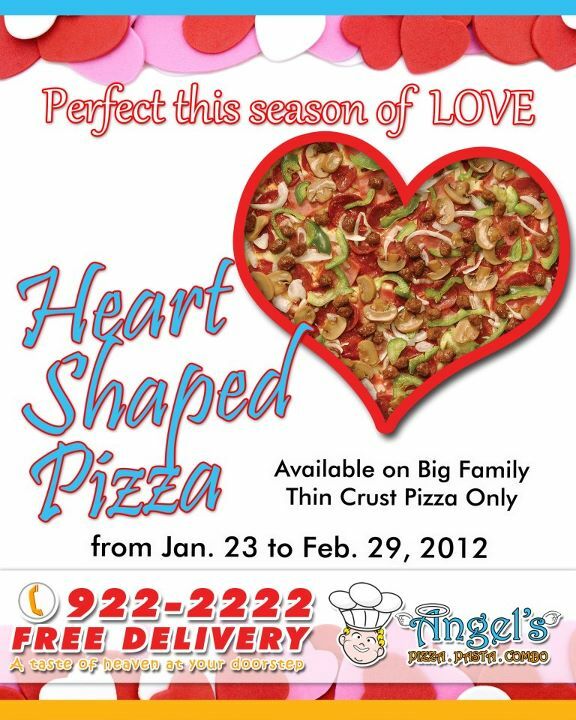 Just call Angel's Pizza and have your heart shaped pizza delivered right at your doorstep! Great thinking right? 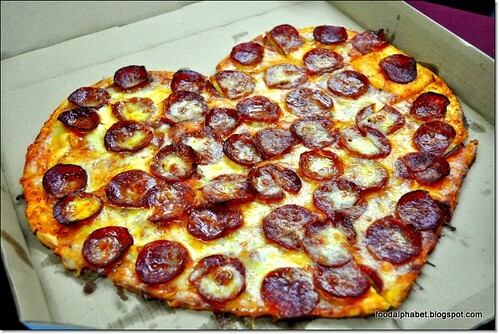 Not just for lovers, great for family as well, this pizza goes to my dear pamangkin, who just loves Angel's Pizza so so much! 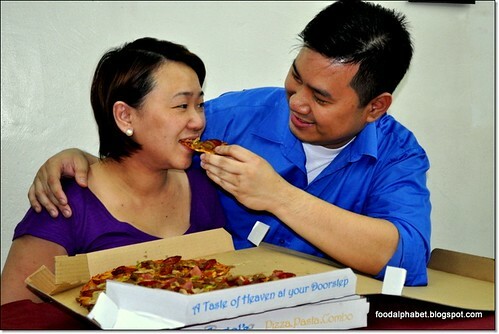 Available until Feb. 29, 2012 only!! 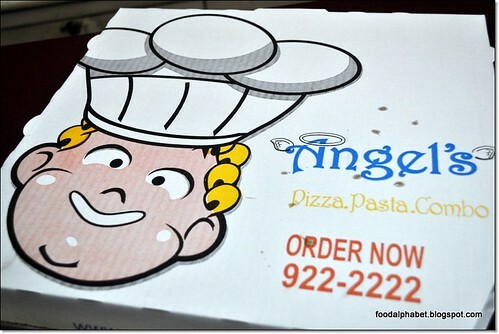 And also get the chance to win Angel's Pizza GC's worth P300. CLICK HERE to know how to join!